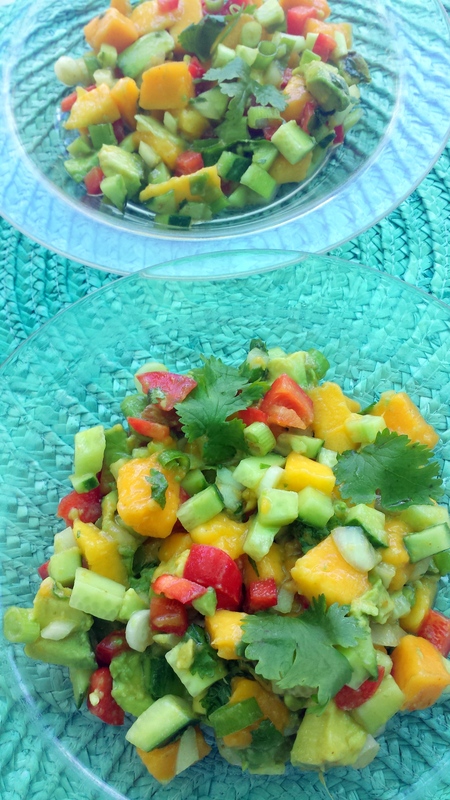 In the heat of the summer, Mango Avocado Salad is light and refreshing and The Best Salad to Eat. The sweet mango, the creamy avocado, crunchy cucumber, vine ripened tomatoes, and the spice of the cilantro and green onion is delicious. 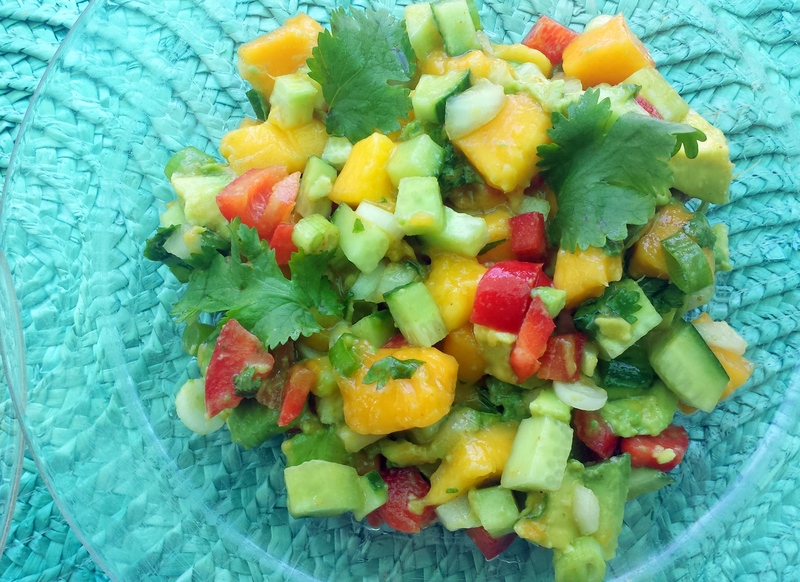 Eat this Mango Avocado Salad alone or as a salsa topping for fish tacos or a piece of grilled salmon or chicken. I love this so much that I have started a salsa garden at my new home in Orlando. So far I received a lime tree and a avocado tree for my birthday and you will see my dear son planting the trees for me. Lucky me! Plans are in the works to plant a mango tree, jalapeno plants and tomato plants and cucumber plants. I can’t wait to start making lots of delicious salsas and salads from the garden. Lucky me! 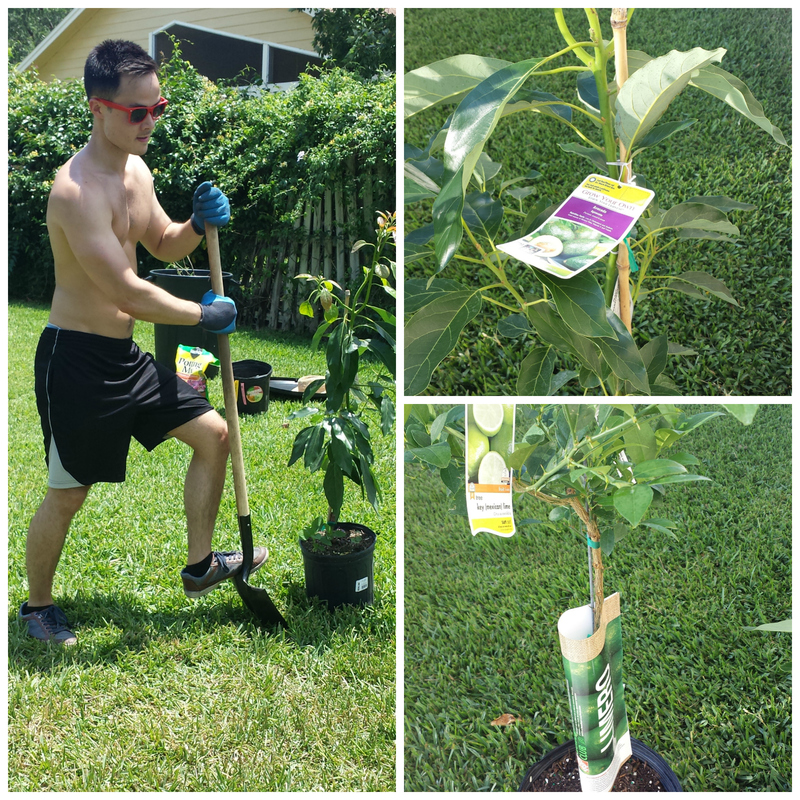 Here is my son Jeffrey planting a Salsa Garden in Orlando with a lime tree and avocado tree. 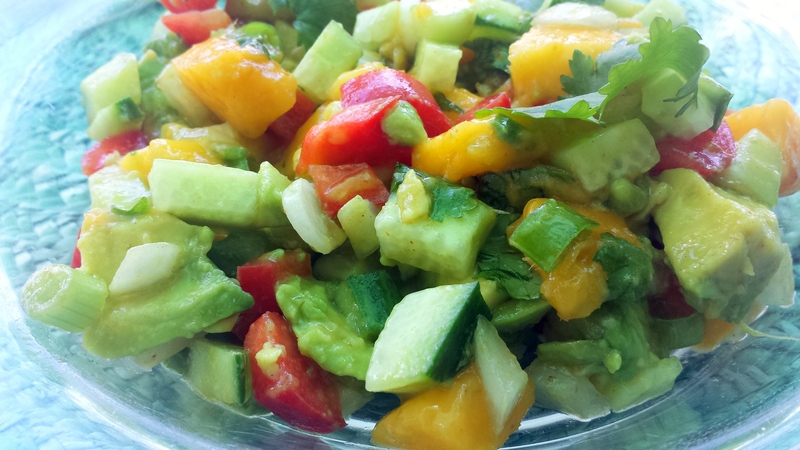 Mango Avocado Salad is delicious as a salad or a salsa on top of fish tacos or grilled salmon or grilled chicken. Peel and dice all vegetables and lightly mix. Sprinkle with lime juice and salt and lightly mix. Optional: add the olive oil and honey. Serve salad on top of romaine or use as a salsa for fish tacos, grilled salmon or grilled chicken.